"You are citizens with the saints and also members of the household of God, built upon the foundation of the apostles and prophets, with Christ Jesus himself as the cornerstone" (Ephesians 2:19, 20). 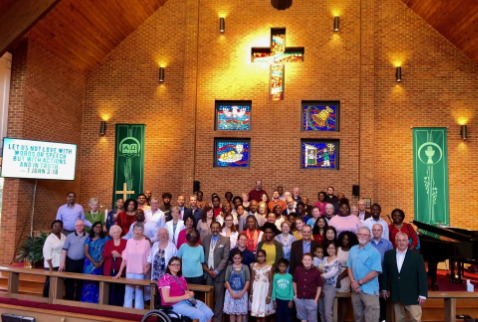 We are a Christian community of faith and represent numerous ethnicities and races. We think God has brought us together to represent the unity God yearns for among God's people. In number, we are a medium size congregation that enjoys the intimacy of knowing each other by name. We do our best to welcome all people from all walks of life and circumstances.